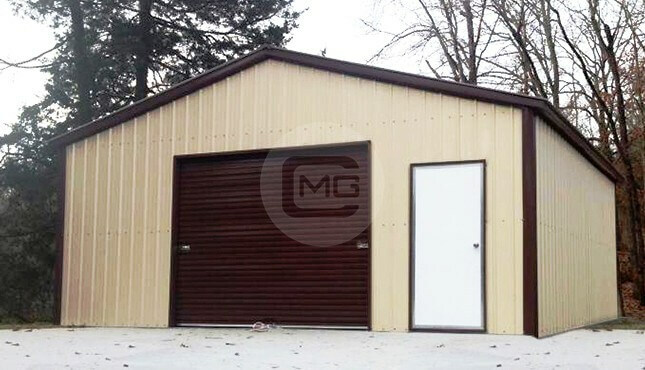 Presenting a 30×46 Two-tone metal garage with vertical roof style. 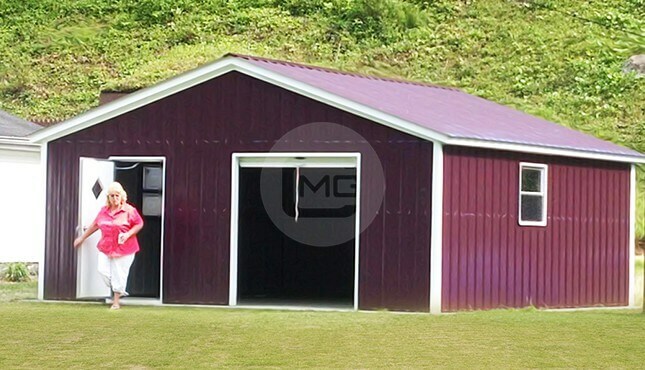 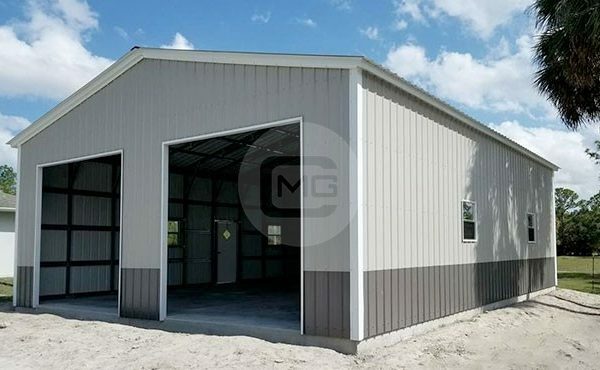 This 30×46 meal garage is all vertical deluxe garage building that says all the walls and roof style are vertically placed which offers better durability with additional ridge cap and don’t let the snow on it for longer time designed for commercial purposes. 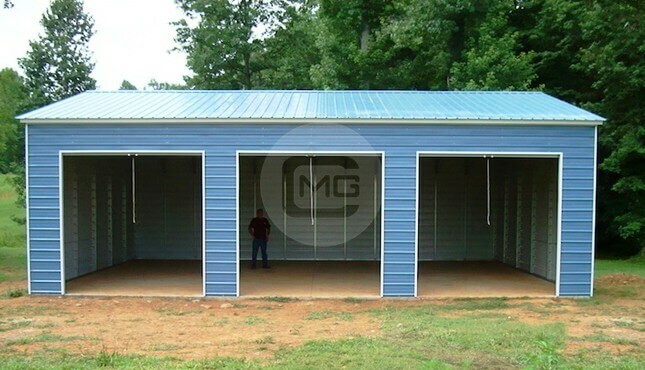 All vertical deluxe style is the premium range of enclosed garage and workshops. 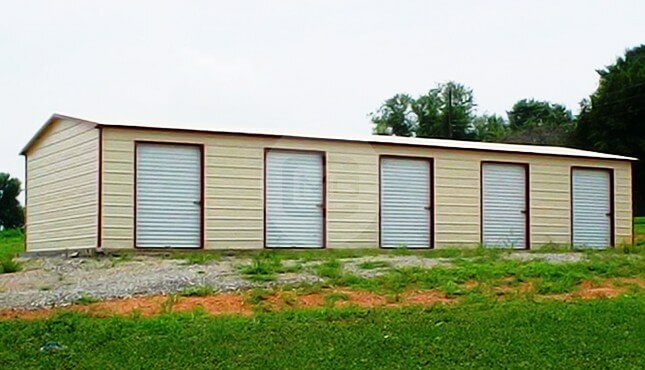 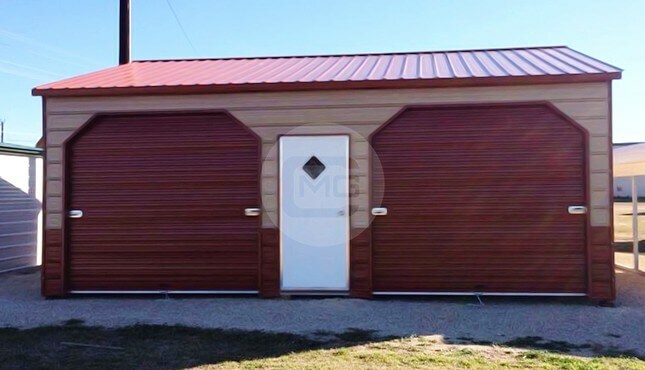 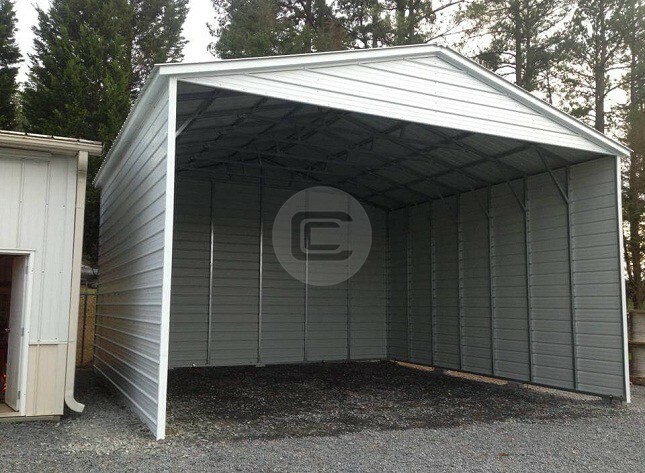 Featured – 30×46 Enclosed Metal Garage (30’ wide x 46’ long x 12’ tall) has three 10×10’ roll-up garage doors – two on the front end, and the one is on the back end. 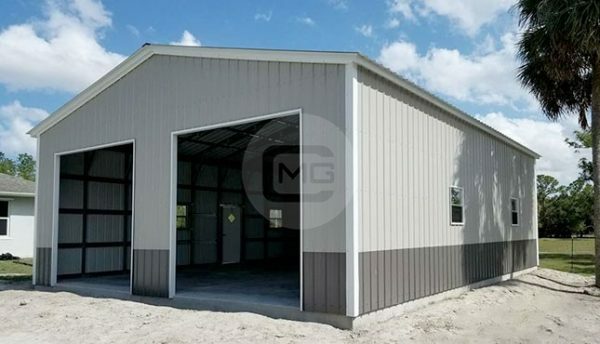 It also has one 36×80” walk-in door for day-to-day operations where you don’t need to open the roll-ups and 4 windows for natural light. 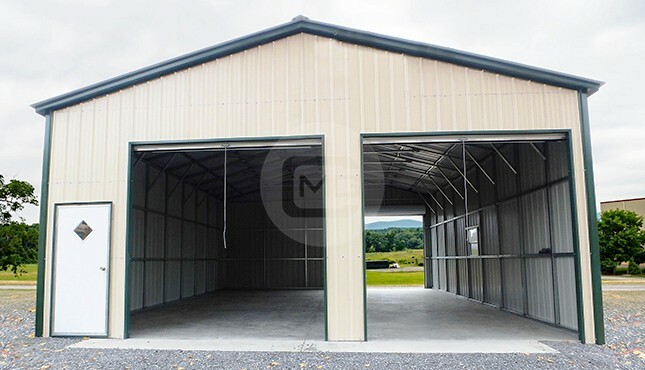 This garage doors measurements are good for your commercial machinery and large loading trucks. 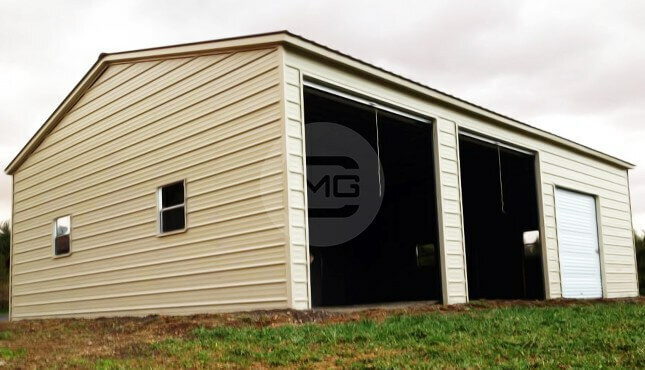 This 30×46 garage is certified for 140mph wind and 30psf sbow load.The two-tone color matching of this gray colored enclosed garage adds to its aesthetics with strength.